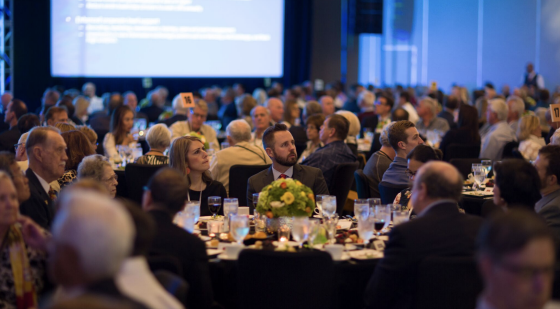 Last week we held our annual investor meeting and we had a record attendance of nearly 600 people (including employees). I told the audience that if we can grow our attendance by 7% every year that by the time we have our 100th annual meeting (this was year 49) then we should have over 11,000 in attendance. Not too far behind Berkshire Hathaway! That shows you the power of compounding. The first five bullet points highlight the importance of long-term growth potential with manageable volatility while the last two focus on magnifying returns through the use of leverage and taking advantage of market cycle timing opportunities that can often result during downturns and when there is an abundance of capital and investor euphoria at tops. Apartments fit the bill nicely in terms of meeting the above criteria. They will never be obsolete as an asset class and it is hard to disrupt well-located properties in growing cities. A premier location will always be in demand provided the property is maintained well and the area is growing. 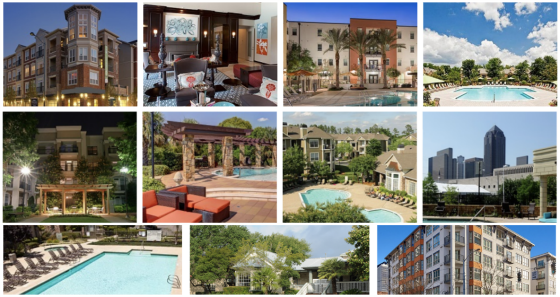 Apartments can also offer opportunities for investors with the capital and courage to act during downturns to capitalize on compelling values available in the market. 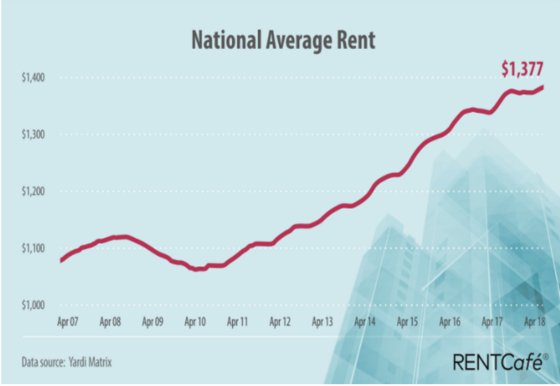 Because apartment lease terms typically average 11 months they reprice fairly often and it’s because of this that rents may be temporarily depressed due to heightened competition and/or reduced demand due to economic downturns. If one believes that the following chart is representative of the long-term trends for apartments, then investors should be able to look through the current rents as being depressed relative to trend and underwrite higher rents in the future that should materialize due to the combination of an economic recovery creating more rental households and constrained supply due to the downturn making credit much harder to procure for developers to build new properties. Because apartments are a nicely performing asset class over the long-term with the potential for volatility due to oversupply and/or economic contraction or slow down, it’s important to have the financial staying power to manage through difficult times when they inevitably arise. The goal is to never lose quality properties with strong location characteristics during the downturn because they almost always recover all of their value when the next growth cycle kicks into high gear. To do this requires having long-term equity capital and long-term, flexible debt. We also want to make sure that our location choices are situated in economies that are on the vanguard of key industries of the future and innovating through powerful ideas and agglomerations to put those ideas into action. It’s one thing to have compelling ideas and it’s another to be able to put them into action and have the resilience and experience to stay in the game when times get tough. We have tried to build such an organization at CWS by always putting preservation of capital first, investing our capital alongside our investors, and having the financial strength and reserves to keep clear headed so that we don’t have to go all in at the top or miss opportunities towards the bottom. We also have determined that it’s extremely important to control our own destiny by managing everything we own, doing very little third-party management, and having long-term debt and equity capital that is fairly flexible in the sense that we don’t have to create a liquidity event based on a predetermined time frame and our debt can be prepaid without costly penalties throughout most of the holding period so we can take advantage of opportunities to sell or refinance when we deem it optimal to do so. I went back and looked at the population and employment growth of our MSAs and compared them to the United States after backing our metropolitan areas from the overall numbers. The following tables show how much more rapidly our markets have grown than the rest of the country. One can see that the markets we have selected have dramatically outperformed the rest of the country in terms of population and job growth. And while part of the reason these metropolitan areas have grown more rapidly is because they have the land and less regulation to accommodate growth, it’s more important that they have high value-add industries that attract and retain the best and the brightest who are compensated well and can have a very high standard of living in most of these cities. We believe that this is the right recipe for growth going forward and these areas should continue to outperform the rest of the country over the long term. I am a believer. Keep up the good work.